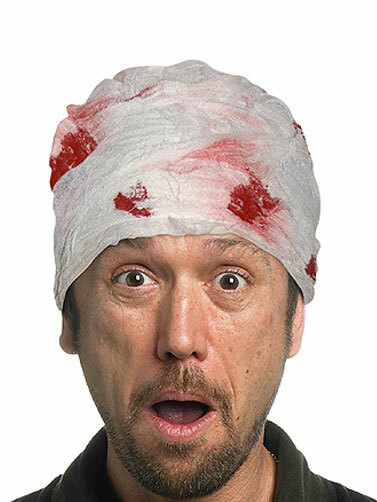 Create the look of a bloody head injury without the mess with this pre bood stained head bandage. Bloody gauze has been adhered to a soft white undercloth that fits over your head. Hold in place with the attached elastic chin strap. Bloody Head Bandage is one size fits most adults.